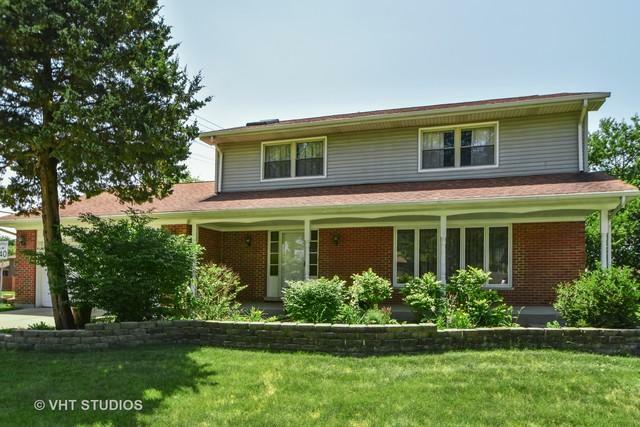 Meticulously cared for home that boasts 4 large bedrooms upstairs. All rooms have hardwood floors throughout except family room that has character with parquet. Lots of windows and natural sunlight. Plenty outdoor space that includes a front yard and porch --also a huge fenced backyard that has a brand new deck off the family room/kitchen. Enjoy hosting in your large kitchen/eat in table area. Very handy laundry room just off the garage & kitchen. Enormous unfinished basement has tons of potential. Minutes from shopping, restaurants, schools & highways.